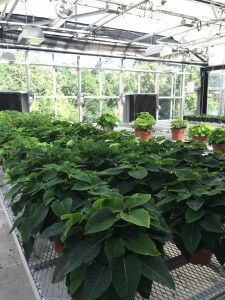 Poinsettias waiting to bloom in the greenhouse! Have you ever wondered why flowers are different colors? 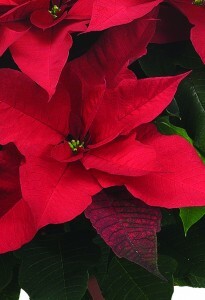 What’s the benefit for one flower to be purple and another to be blue? It’s actually for the survival of the plants. 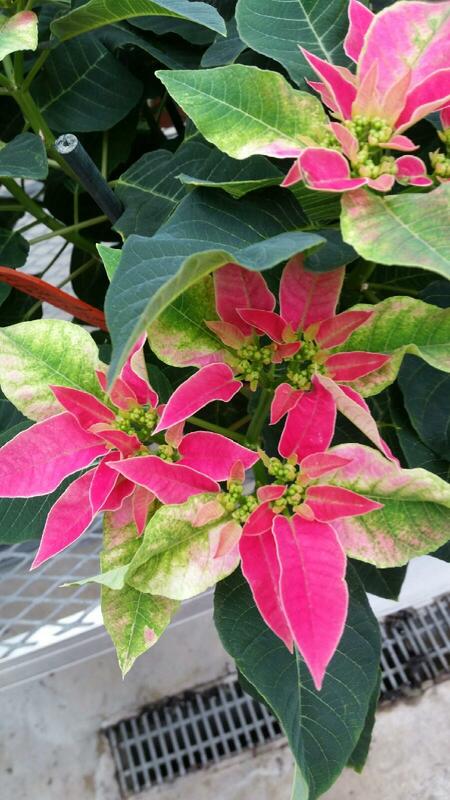 The bright and colorful blooms attract insects that pollenate the flowers. 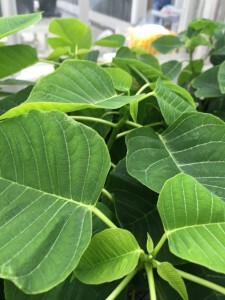 The colors also attract animals that help transport seeds to different areas by eating fruit, and even carrying seeds on their fur after brushing up against certain flowers. to their survival and reproduction, but how do you tell the color of the flowers before they have bloomed? 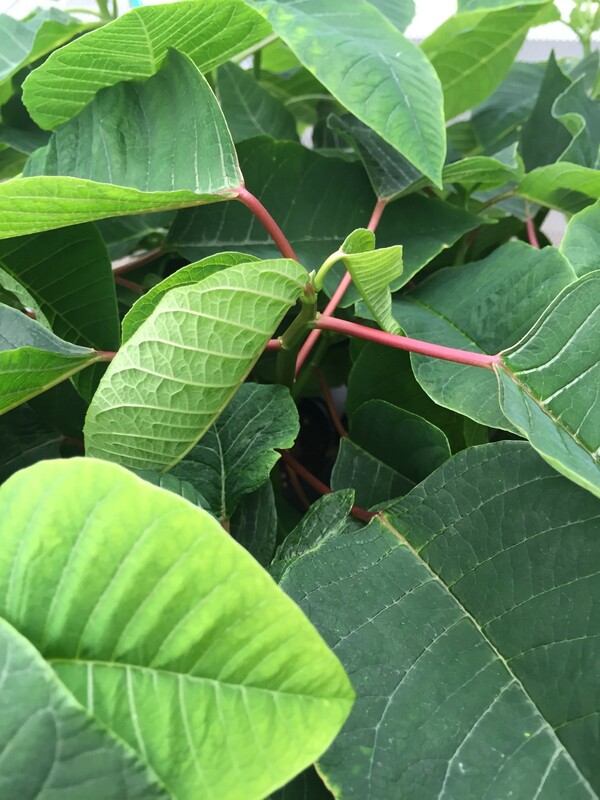 In most cases, you simply can’t tell unless you have a labeled seed packet. 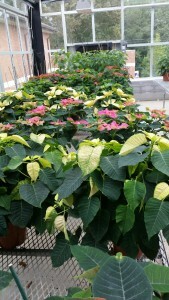 But, poinsettias are a different story! 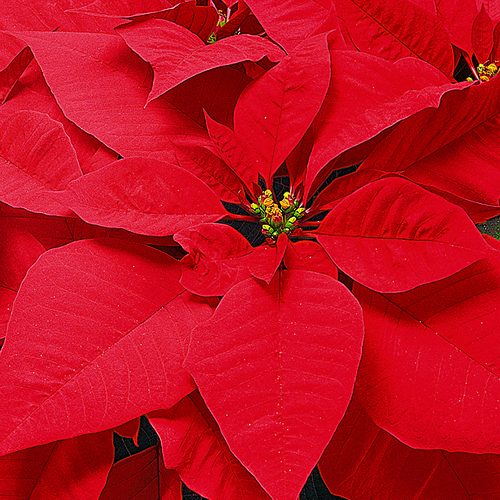 The colorful petals that most people think are the Poinsettia flowers are actually modified leaves, called bracts. 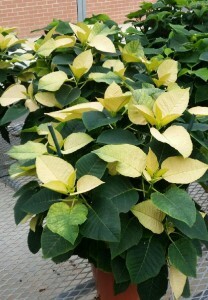 The leaves surround a cluster of tiny yellow flowers that produce pollen. 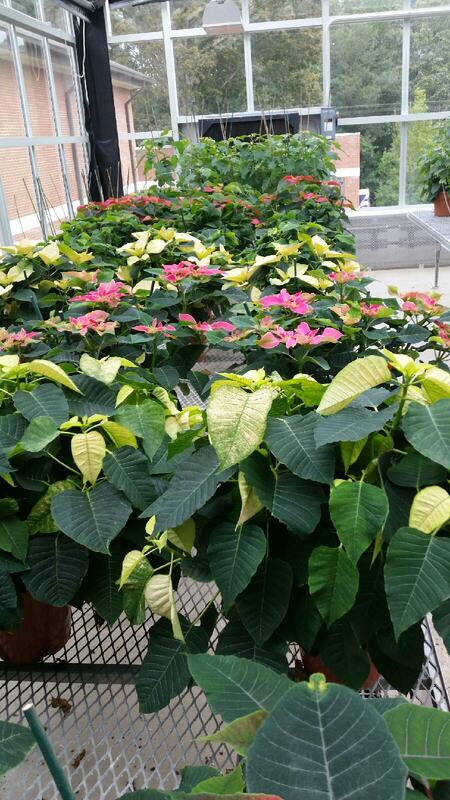 So, you’re probably wondering how to tell what color the bracts will be when your Poinsettia blooms! Well, you can actually check the stems–which are actually called petioles–for color. 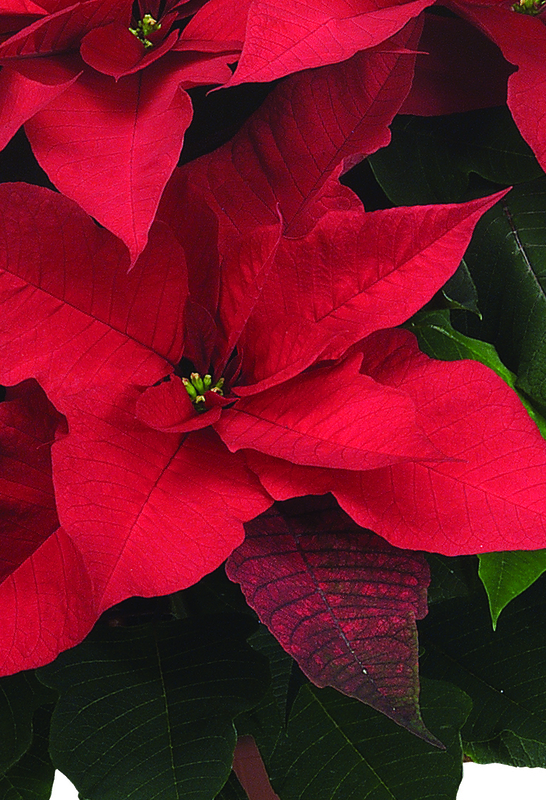 If the petioles are completely red, then your Poinsettia will have fiery red bracts. 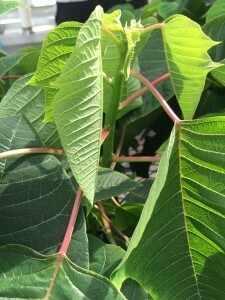 If the petioles are a light green color, the bracts will turn out white. And if the petioles are a combination of light green and red, the Poinsettia will have varied bracts.